Irony is a funny thing. When Uncharted: Drake’s Fortune first released, many criticized it for appearing to be too similar to the Tomb Raider franchise. Almost an entire console generation later, the newest iteration of the classic Crystal Dynamics franchise has fallen under scrutiny for its similarities to the Uncharted series. In several ways, this is an accurate observation. In none of those ways is this a criticism. The action-adventure approach, combined with a more human story and an extremely brutal edge, is just the formula the series needed to propel it into the modern age. The Tomb Raider reboot finds Lara Croft as a realistically proportioned, ambitious 21-year-old explorer who is shipwrecked with her crew on a mysterious island in a storm-battered area of the world known as the Dragon’s Triangle. A simple search for clues relating to an ancient civilization quickly turns ugly once the explorers discover some of the island’s sinister secrets. To reveal any more would do a disservice to the excellent script, but it is all brought to life by extremely strong motion capture and voice acting. The game works as well as it does because of the focus on pure, raw, survival. From the second Lara arrives on the island to the breathless conclusion, Tomb Raider is about a young woman’s struggle against impossible odds–namely, the entire island that’s out to kill her. That doesn’t mean that there isn’t any tomb raiding, platforming or ancient history lessons–those, too, are weaved liberally through the story–but first and foremost, this is a third-person action game on a major scale. Yes, much like Uncharted, Tomb Raider is filled to the brim with big action setpieces, though they don’t charge over the line of believability quite like Naughty Dog’s franchise does. To their credit, the platforming bits, action sequences and gunfights don’t overstay their welcome; the combat sequences are generally contained and truncated, and the action scenes are over when they need to be over, generally fitting naturally into the story. It doesn’t make them any less thrilling, however. On the contrary, this is by far one of the most exciting games I’ve played in years, with many sequences catching my breath and causing me to tense my shoulders to the point of soreness. Crystal Dynamics also embraced the titles M rating, with plenty of graphic bloodshed and nasty deaths. Missing a jump is usually met with a cringe-inducing death for Lara, and some of her own ways of killing enemies are enough to elicit shock the first time they’re seen. Tomb Raider sports a gripping narrative, but that would hardly be of worth if the game wasn’t a joy to play, which it is. The game feels fantastic, with strong gunplay, excellent platforming, and a remarkably intuitive automatic cover system that has Lara crouch behind low cover if there is an enemy nearby. Not having to press a cover button ended up making a lot of difference, and actually made me forget that I was pressing buttons to play the game at all. The game is set up in a manner similar to the latter Crysis games, with each location comprised of a small, open area for Lara to explore. The path is generally linear, but the player has room to run around and find extra pickups and to hunt the local wildlife. Scattered across the world are journal entries and artifacts. The former do well to pad out the story and breathe life into both Lara’s friends and the evil inhabitants of the island. The entries belonging to the villainous Mathias in particular offer up tantalizing pieces of the story as the cult leader speculates about the mysteries of the island. Artifacts, too, are handled in the best possible way; when acquired, they can be examined from every possible angle for any sort of marking or other piece of information, which, when found, adds a fascinating additional tidbit to the artifact’s historical description. These are all optional, but they significantly enrich the story and are worth hunting down. In a sort of Metroidvania twist, many of the areas Lara travels through have peripheral paths that require pieces of equipment that won’t be acquired until later on in the story. Once that gear is found, Lara can fast travel back to a nearby camp and access the new area. These usually provide extra salvage, artifacts or journals. In keeping with the spirit of the old games, there are also optional tombs scattered around the world, which serve as bite-sized segments requiring Lara to solve some sort of physics puzzle to access a hidden chest. Most of these are relatively easy, but the tombs in the second half of the game require a bit more thought, leading to a number of satisfying “a-ha” moments once the solution is reached. Branching away from the one-Lara-fits-all notion of the past, this reboot adds various skill trees and upgrades. Killing enemies, finding secrets and collecting supplies nets XP for skill points that can be put into one of three skill sets: Hunter, Survivor and Brawler. These grant small benefits for Lara, like the ability to more easily locate hidden items, the addition of a counterattack, an an increase in Lara’s overall speed. Apart from skill points, pieces of salvage scattered around the island serve as currency for Lara to upgrade her guns and add attachments that improve attributes like reload time and damage. Graphically, Tomb Raider is stunning, sporting visuals that could be easily mistaken for next-gen. Fire looks fantastic, animations and character models are practically flawless and the lighting is eye-popping, even when running the game on High settings. The PC port of Tomb Raider was handled by Nixxes Software, the company behind Deux Ex: Human “Wait, that was a Port?” Revolution. As with that game, this port is outstanding, with practically zero issues. If your machine can handle it, crank everything up to Ultimate settings (it’s one step above Ultra, for what that’s worth) and turn on a feature called TressFX; it renders Lara’s hair in individual, fully physics-modeled strands, beautiful enough to be distracting. The game’s multiplayer won’t win any awards, but it’s certainly a fun and very solid addition to the overall package. It has the general feel of Uncharted’s multiplayer, but it makes some new strides in incorporating elements from the main game. Each character has access to many of the single-player gadgets, and platforming is a focus. Weapon loadouts are modifiable with salvage, giving players the opportunity to add perks and attachments to each weapon. A quick glance at unlockable perks and attachments shows that this mode will have quite a bit of longevity for players who plan to invest their time in it. 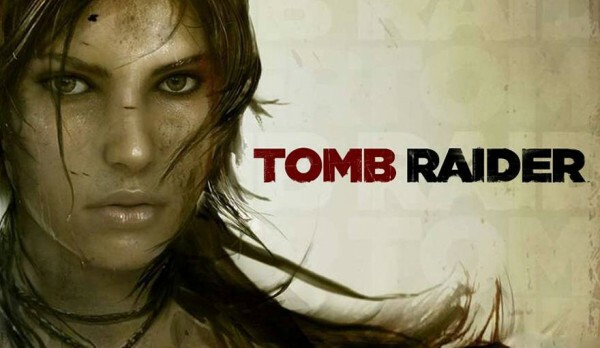 Tomb Raider is a heart-stopping action experience that tells an excellent story of female empowerment. Crystal Dynamics has absolutely knocked it out of the park with this reboot, retaining elements of the classic franchise while overhauling the rest to catapult its heroine into the modern era. Strong, extremely cinematic production values and tight gameplay tie the package together. The action genre has a new classic. Tomb Raider was developed by Crystal Dynamics and published by Square Enix. A PC copy of the game was provided by the publisher for review purposes.